Essential German Grammar is a student-friendly grammar and workbook designed to give learners a firm foundation on which to build a real understanding of both spoken and written German. The reference grammar section offers clear explanations of key grammar points while a separate exercise section gives students the opportunity to test themselves and put into practice what they have learned. Created especially for the new edition, a companion website at www.routledge.com/cw/kaiser offering a wealth of additional materials, including interactive exercises, quizzes and flashcards to test student understanding, downloadable PDF sheets for classroom use, PowerPoint slides for instructors and audio recordings illustrating the sounds of spoken German. Written by highly experienced lecturers in the field, Essential German Grammar is an invaluable resource for intermediate and advanced students of German (CEFR levels A2 to B2, ACTFL Novice High to Intermediate High). It is designed to function equally as a free-standing grammar or as a foundation grammar for Hammer’s German Grammar and Usage and is suitable for both classroom use and self-study. 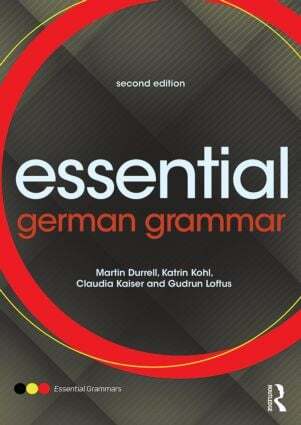 Gudrun Loftus was a Senior German Language Instructor, University of Oxford, UK.